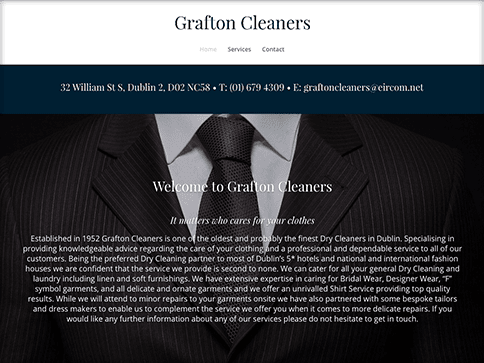 Grafton Cleaners was established in 1952 in Dublin and is one of the oldest in Dublin. 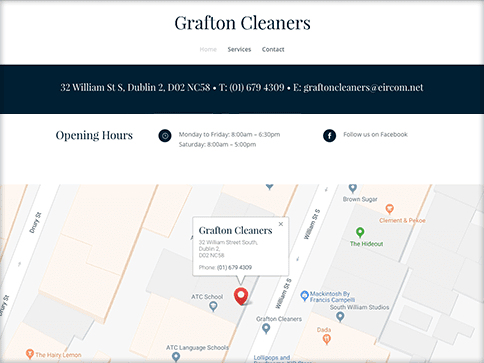 They specialise in providing knowledgeable advice regarding the care of your clothing and a professional and dependable service to all of their customers. 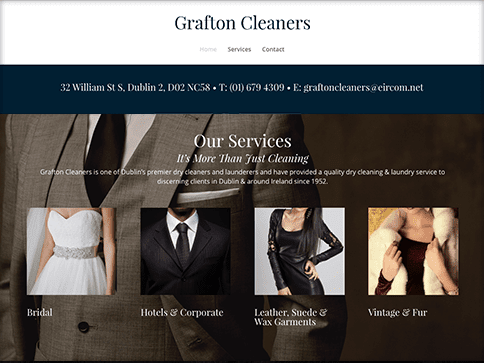 Grafton Cleaners partner with many of Dublin’s 5* hotels & international and national fashion houses. They wanted a rebrand that reflected the companies they partner with. 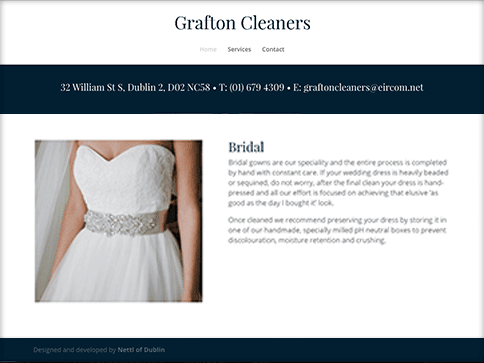 We created a simple, responsive website to showcase the many services they provide.